Portrait Workshop - website:www.portraitworkshop.com blog:www.caricature.com.sg: Another thief! 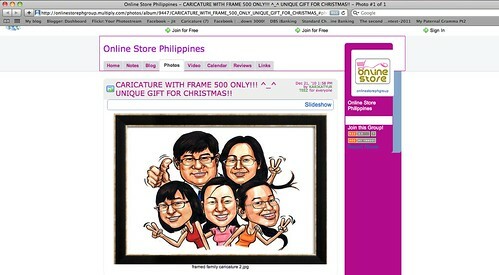 After the art thief case 2 weeks ago, I was told that there's another site which has stolen my caricature artworks. 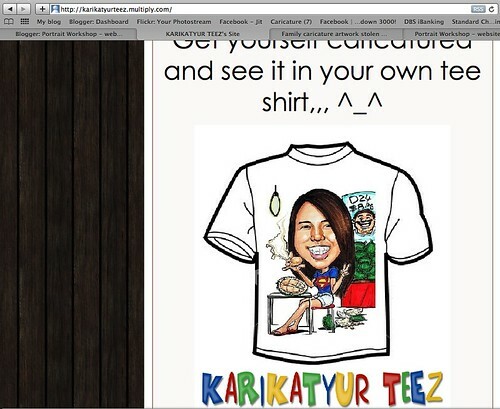 This guy, by the username of "karikatyurteez" removed my signature and domain name on both pieces. His intention is very obvious! The above piece was stolen from this link. This piece was stolen from here. I have sent him an message , asking him to remove them from his site, but he ignored me. At the time of posting, they are still there. I have just reported him to Multiply.com for infringement of copyright, and see how they will deal with him! If he can draw, do his own version. If he can't draw, how will he answer to his clients who order these works? How foolish are these thieves? Maybe they will just take the money and run, since they are good at stealing!